In order to become a supply teacher in London, you need some level of qualification. However, the route into how you gain your qualification may not be as black and white as you think; there are many ways to achieve the appropriate skills to allow you to get your ideal teaching job. We’ve compiled the main routes into becoming a supply teacher in London today, here at World Class Teachers, we understand that different qualifications suit different people – knowing where to start may be daunting, hopefully, we can help. Here are four popular but different qualifications you can gain to become a supply teacher; you must also have attained a grade C in English and Maths at GCSE level for all of these routes, a degree level of at least 2:2 is also required for these routes, although there are other ways into becoming a supply teacher in London without attending university. This is the only qualification you will need to teach in the UK – PGCE is an additional (recommended) qualification. People tend to follow a PGCE with a QTS; many educational courses offer this as part of the curriculum. The main advantage of a QTS is that it allows you to teach in a variety of countries. The Post Certificate in Education (PGCE) is the most popular university lead route into teaching. PGCE combines theory and placement to give an extensive knowledge and real-life experience in the classroom. This is available for secondary and primary teaching and can be used in conjunction with other, more specific, qualifications. The course is a year long and is relatively independent learning. The Graduate Teacher Programme is an employment-based teaching route, QTS is provided on this one year course and can be used in either primary or secondary teaching, normally in a single subject. One of the main benefits of a GTP is that you receive a salary whilst gaining qualifications that lead to becoming a teacher. Getting a place may be hard as schools are reluctant to when it comes to hiring unqualified teachers, however, some institutions organise taking on GTP – this is usually a highly competitive course as it gives a true teaching experience, including a salary. School Direct’s one year course allows you to be trained on the job and usually end in employment within the training school. A salary is sometimes included or students may be offered a bursary. This route leads to QTS and possibly PGCE/Masters level credits. This course is perfect for people that want to be immersed into teaching from day one. Choose a supply teaching agency in London that suits you, here at World Class Teachers, we want to make you feel comfortable and with a large variety of supply teaching jobs in London, you can guarantee just that – whilst also gaining the flexibility that supply teaching boasts. It may seem easy to jump at the first job you are offered, however, as a new supply teacher taking caution to ensure you’re fully prepared always pays off. It’s best to check your tax requirements before accepting any jobs. Supply teaching in London is a brilliant lifestyle – but one you have to adapt to, unlike with other jobs your routine may not be normal. If you’re not already convinced here are some of the main benefits you can enjoy when you complete the route into supply teaching in London, you won’t look back! If you’d like the learn more about supply teaching jobs in London, if you’re currently searching for a teaching job or if you want some more staff training, please don’t hesitate to get in touch by calling us on 0208 579 4501 and we can help with any supply teaching advice. 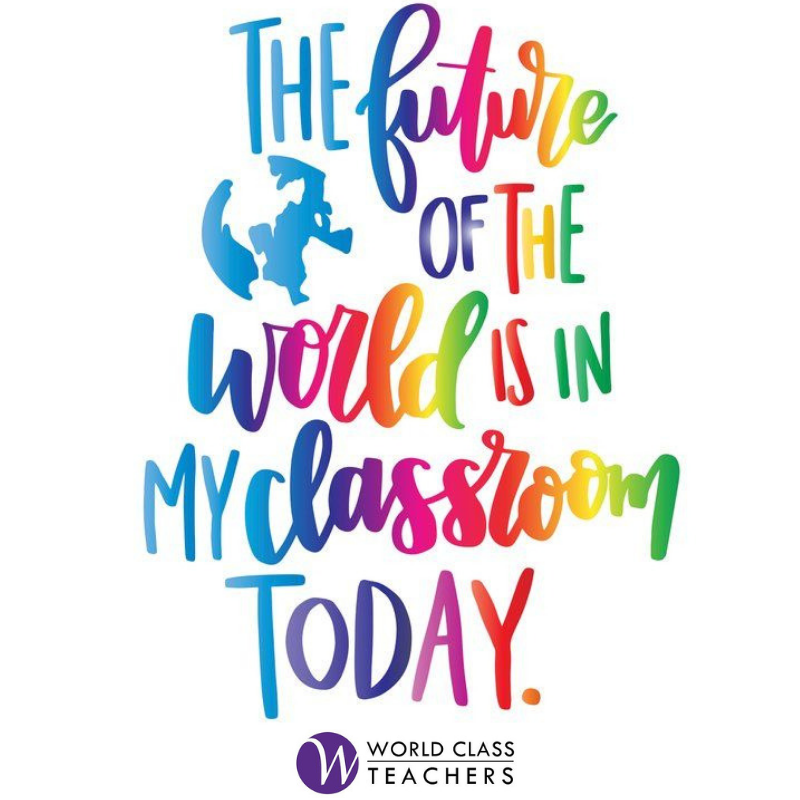 Alternatively, you can contact us online, request a call back or email us at teach@worldclassteachers.co.uk for a prompt response on any enquires on supply teaching in London. First and foremost, career opportunities in London are second to none. With some of the world’s most coveted educational establishments, libraries and a huge variety of schools, relocating to London is a great platform to kick-start your career as a teacher. London’s multicultural diversity is another reason why it is loved by so many. With over 300 different languages being spoken in London it is not surprising it is a tourist hotspot. Not only does this mean a fantastic array of cultures present in everyday life but creates a dynamic surrounding for learning. From an education perspective, working in a multicultural school can be extremely beneficial as it encourages children to grow up and immerse themselves in other cultures. It is great for creating an expressive forum for class discussions as children are able to talk about their different experiences and backgrounds while reinforcing the importance of creating an atmosphere of mutual respect. Additionally, it helps those students from various ethnic backgrounds where English is not their first language by having that constant exposure will help them to pick it up quicker. From a teachers perspective, it can also be challenging from a literacy point of view, as you will need to plan lessons suited to varying academic capabilities. However, this allows you to get creative, perhaps use more visuals and group discussions all of which will contribute to child development and your confidence to develop into a great teacher. London truly is a land of opportunity. With some of the best schools in the world, it is not surprising to hear that over 90% of these schools have been rated as good or outstanding. (https://www.london.gov.uk/what-we-do/education-and-youth/teach-london/why-teach-london). The fact you have an abundance of world-class museums, art galleries, tourist attractions and libraries, most of them being free to visit is in itself a massive opportunity. By using these various resources is an excellent way to make lessons more interactive and engaging which ultimately will help maintain the children’s level of focus. From a teacher’s point of view, this makes London a perfect place to launch an educational career having so many resources right on your doorstep. With the newly founded appreciation that children evolve to develop a unique a learning style that is complementary to the way they register information, allows teachers to go that step further when it comes to planning lessons, making them more interactive and visual rather than sticking to the more traditional theory based lessons. When considering other countries in which to teach, it is worth considering the high standards and variety that the UK curriculum brings. The fact it has many similarities to those in Commonwealth countries means the transition to a new education system will not be so daunting. Furthermore, the teaching job market is on the rise, with this high demand for teachers it is more important than ever to cease this opportunity and check out our vacancies page for more information. Becoming a teacher is an extremely rewarding vocation. It gives you the chance to be a role model and really make a difference in a child’s life. However, it can at times be stressful. Luckily for you, London has so many exciting things going on it is the perfect escape from working reality in order to maintain that all-important work-life balance. With a population of over 8.8 million the hustle and bustle of city life offers something for everyone. Whether you are a restaurant connoisseur, a museum enthusiast or love any green space, London is a great place to enjoy city living. The spectrum of restaurants is out of this world. Whether it is a Michelin starred restaurant, a cool brunch spot, dinner with a view or even just a good pub, London has it all. In terms of greenery, despite the fact is it a major city, the amount of parks in London is impressive. There is no doubt a park in walking distance of wherever you are in the city. This can also help make moving away from somewhere such as New Zealand which is renowned for its idyllic setting, a somewhat smoother transition. World Class Teachers is a business is built on the premise of helping international teachers broaden their horizons by offering them various opportunities to teach in London. Their concept is for teachers to kick-start their career in a city that offers massive opportunity. If you would be interested in finding out more, please register your details in the contact form or alternatively submit your CV and one of our advisors will be in contact with you as soon as possible. Considering a role as a World Class Teacher? The end of exam season marks the beginning of summer. We see the launch of graduation ceremonies and a period of endless celebrations. It begins a phase of reflection for many students and school leavers to start thinking about taking the next step of embarking on a new journey. Naturally, people see September as the start of a new academic year and therefore unsurprisingly, prior to this, people cease the opportunity to start thinking about a career they would like to go into or even, contemplate a complete change in career. 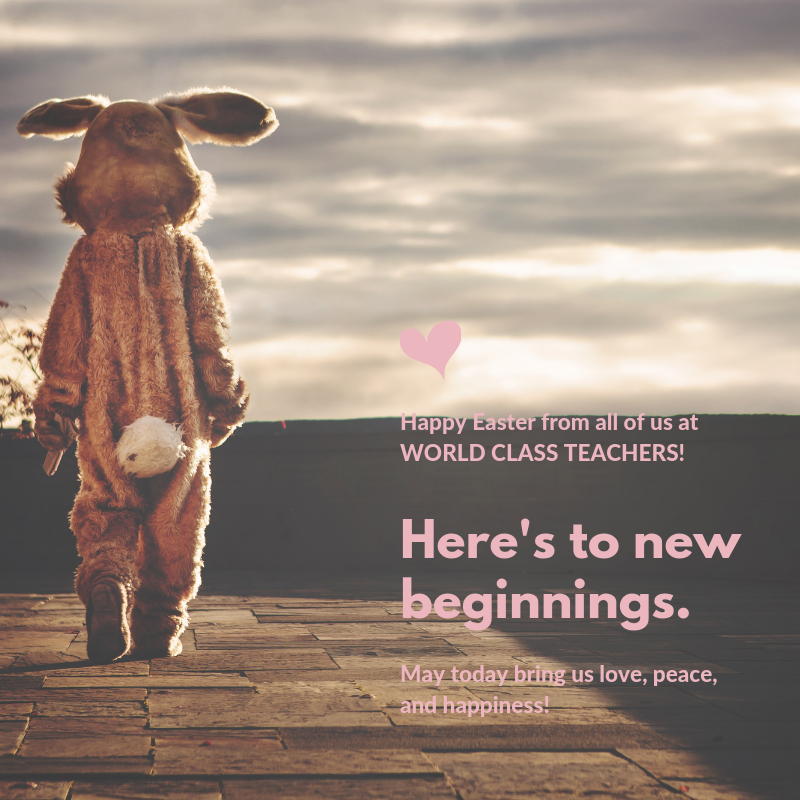 Becoming a world-class teacher could be the right journey for you. This blog will look at some of the different routes to becoming a teacher as well as its advantages and disadvantages. There are a few different routes into teaching, either a university-led programme or a school led route. Both have their advantages and both will prepare you for becoming a great teacher. The school led programme is designed for those who learn better through hands-on experience. You will learn on the job quickly and spend more time in the classroom in comparison to the university led route where your time will be divided. Through the University route, you will gain a Postgraduate Certificate in Education (PGCE) and is a one or two-year academic qualification. You will be taught the theory through a series of lectures and seminars and undergo various school placements to give you work experience allowing you to put that theory into practice. There is an abundance of benefits to a teaching career. Not only is there a growing demand for teachers, meaning job offers both part time and full time are more readily available. The career progression is also worth bearing in mind. The clear progression ladder offers massive opportunity. Teaching also offers alternative options for those looking for work on a more temporary basis such as becoming a supply teacher, assistant teacher or home tutoring etc. A teaching career is extremely character building and will help to improve numerous key skills such as communication, leadership and management all of which are necessary for becoming a great teacher. In today’s society, a career change is a very common thing and therefore, having that experience working at a school developing on these fundamental skills will give you a solid foundation and a great stepping stone for future employment. Teaching is a vocation where you can really make a difference in a child’s life; it gives you the opportunity to become a role model. In a recent survey, a high percentage of teachers said the difficulties of their job were completely outweighed when it came to helping a student get that ‘light bulb’ moment. In addition to this, teaching allows you to have a sense of freedom to plan your lessons exactly how you desire. You can be as creative as you want to be in order to make lessons more enjoyable and more engaging for the children. As with all jobs, there are some less appealing aspects to a career in teaching. For example, some would argue that it is a lengthy education process which can be expensive. Luckily, there are alternative routes some of which are salaried so you can learn on the job while getting paid. It is advisable to spend some time looking at the alternative routes into education and selecting the best one for you. Speaking to teachers in various schools they would argue that the hours can be long due to the amount of marking and planning that is required. Becoming a teacher does take someone who is dedicated and disciplined; the key to the heavy workload is organisation and maintaining a good work-life balance. Teaching is one of the most rewarding vocations of today’s society as it gives you the opportunity to really make a difference in a child’s life. As with any career, there are elements of the job that are less attractive however, we believe these are outweighed by the positives. If you are interested in a teaching career, please give us a call today so we can help you with your search. Alternatively, if you are a qualified teacher looking for a new challenge check out our vacancies or simply submit your CV and we will do our best to help you.